In some ways, it's like a mildly sweeter and less intense Midnight 91% chocolate. This is probably the closest to a classical dark chocolate but with refreshing sophistication. And it's only 125 calories per ounce. Milk free. 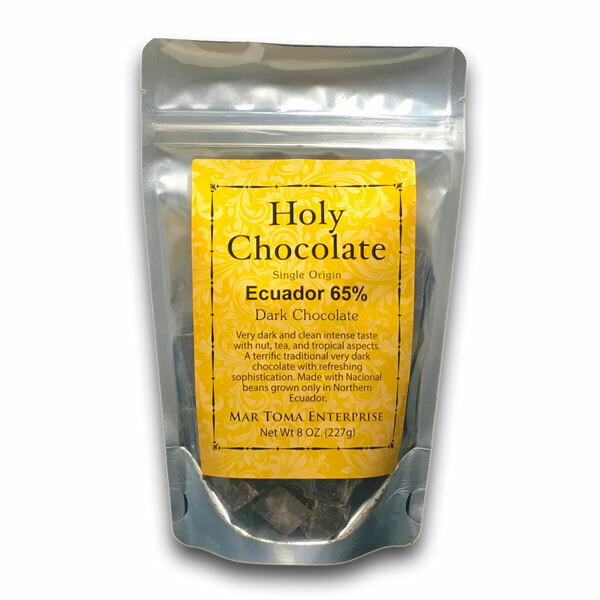 There is a special valley in Ecuador that grows the Ecuadorian Cacao Nacional Forestero beans. Normally the Forestero is the most common variety of cacao produced and it's used in a lot of bulk chocolates, but this is a very special Forestero and can only really be grown in Ecuador and is used in fine flavor cacaos and chocolates. The Ecuadorian Cacao Nacional Forestero is finicky and is more susceptible than some other kinds of cacao trees to disease, so this is really a very special chocolate, not just because it tastes special, but because it is special and very sought after. This is the highest quality of chocolate that usually has more than 30% cocoa butter. 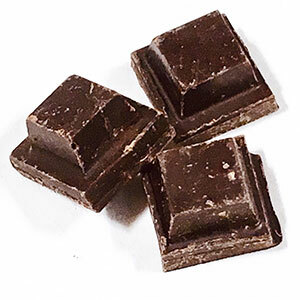 It has a richer and more sophisticated taste and is really designed to give the maximum flavor with the least amount of chocolate and is used for covering candies like truffles. I chose this quality of chocolate not because it was the most profitable (it isn't) but because it has the maximum amount of taste. Copyright Holy Chocolate. All Rights Reserved. eCommerce Software by 3dcart.